This post contains affiliate links. I was given access to the class to blog about it. 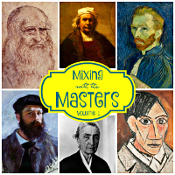 This is the third post in the series Mixing with the Masters: Volume 2, which includes six famous artists, with three works of art for your kids to re-create from each artist. The first week we showed you our projects for Henri Matisse, which were really colorful. Last week we did some fun art activities for Albrecht Dürer, including charcoal, ink printing, and watercolor. 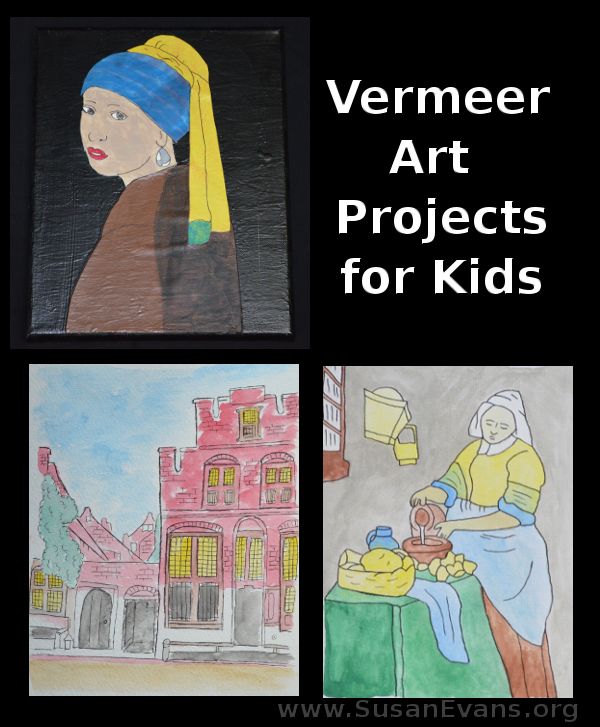 Today we will complete our short series of our favorite three artists by doing some fun art projects by Johannes Vermeer. The first work of art by Vermeer that we created is this mixed media girl. We painted a canvas black the day before starting this project. My kids chose different colors of scrapbooking paper for the turban, scarf, and shirt. You can print off the template if you need help with the face, but since you have to paint over the face anyway, you will need to look at Alisha’s artwork in the video to add the finishing touches to the eyes, nose, and mouth. I don’t know how my son got his eyes to look so life-like. (His is the first pictured above.) I think it’s because the eyeballs looked off to the right rather than the middle. My son’s picture reminded me a little of the Mona Lisa, which we did for another mixed media class in the past. Her eyes follow you as you sway to the right or to the left. This was a fun watercolor painting where we used brighter gouache paints. 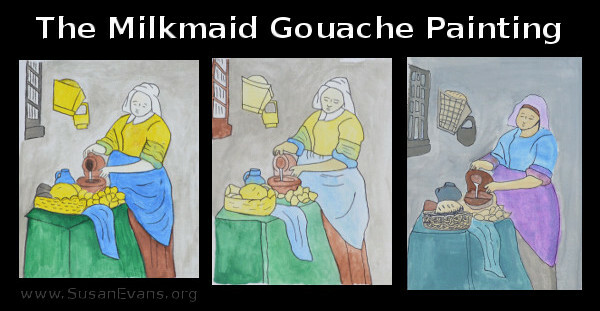 This milkmaid is pouring water into a bowl. The food on the table reminds me of a still life picture I did back in high school when I lived in Guatemala. We had a fruit bowl in the middle of the table that we had to sketch and then paint. Still life is a classic assignment for students learning to draw and paint. I loved this cartoon-like line and wash watercolor painting! 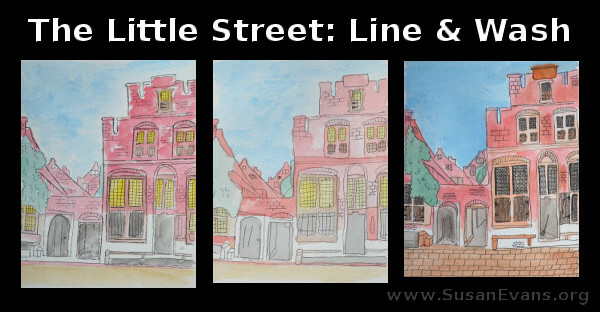 We started by sketching the buildings and street with pencil. We added the details of brickwork and window panes. Then we painted in an exaggerated, messy way, leaving some white space to create the cartoon-like effect. My daughter loved the way her sketch came out. 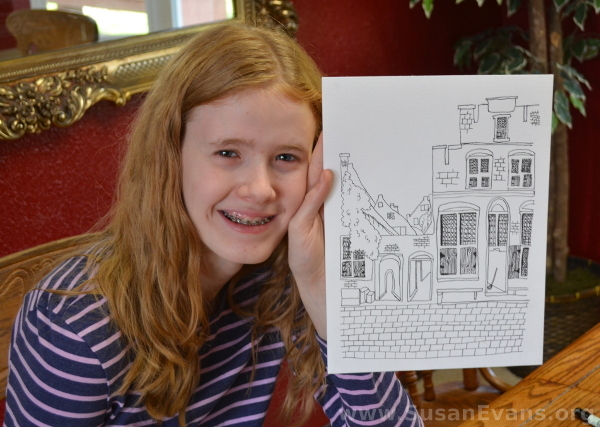 If you look closely, you will see the wooden shutters on the windows, drawn with precision and detail. I like the perspective in her doorways. She does a lot of drawing in her free time, mostly Japanese-style cartoons. 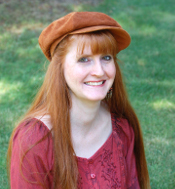 She decided to lean a broom against the wall inside one of the doorways. We really enjoyed the three artists that we studied, and some day we might come back and do the other three, since there are six artists in the series. If you would like to grab this set of classes for your own kids, you can get them here. This is a high-quality art course, and my kids learned so much! This entry was posted on Monday, January 21st, 2019 at 8:00 am	and is filed under Art. You can follow any responses to this entry through the RSS 2.0 feed. You can skip to the end and leave a response. Pinging is currently not allowed. You have some amazing artists in your house already! I couldn’t believe how well drawn the pictures were done by your son and daughter! I bet they love your art classes! Thank you for sharing their work. Alisha is a great teacher. She’s funny, too. I myself am learning new art skills. This artist was really fun, especially the city picture watercolored like a cartoon. These are amazing! I still think this is the best way to learn. And your daughter’s sketch is wonderful. She definitly has a right to be proud of it. So glad you shared it with us. Thanks, I thought she did great, too! What a fabulous art class! I actually just learned about Albrecht Dürer this past week for an Art History class I’m taking and fell in love with his art, his skill as an artist and his expression of his faith through his art. I might have to try some of these myself, for funsies! How cool that you just learned about him! Most public schools don’t teach classical art any more, but it helps in expressing our creativity to see how art developed over the years, and then to try some of it ourselves. My oldest is really into art and I am always looking for ways to up the antie – with others teaching because I have no skills there. THis looks great. I love the fact that someone else is teaching it. Then I can enjoy the class with my kids.